Today I'm going to be doing my September Favourites. I'm pretty sure this is my first favourites post; I mean to do one every month but by the time I remember it's already half way through the month! The first thing in my September favourites is the cute little candle that I got from Primark for £1.50! 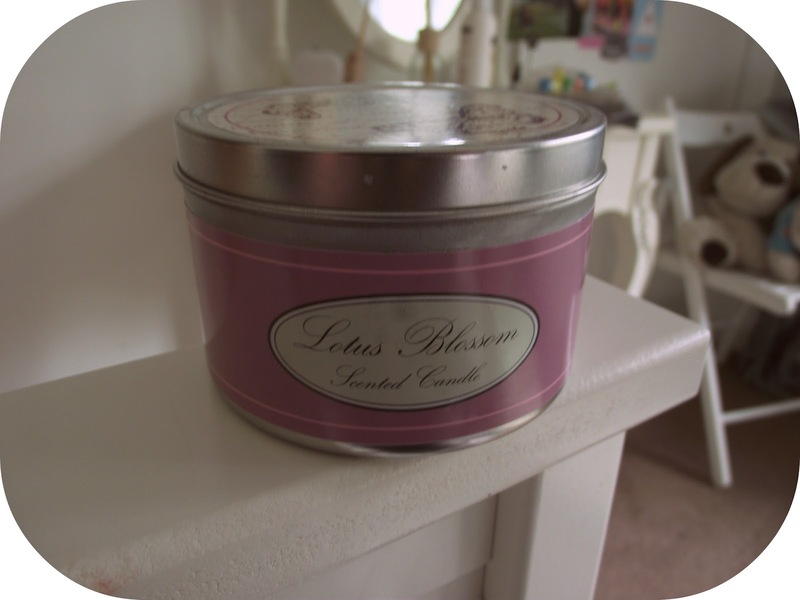 This is an absolute bargain and it looks really cute sitting on my shelf :) I can't really tell if there's a smell in the air when I light this but my mum can. It smells a bit shampoo-ey but hey, shampoo smells nice, right? Okay so this, I am officially inlove with. I've never tried moroccan oil or anything like that (wayyyy out of my price range) however my friend has tried both Miracle Oil and Moroccan Oil and she prefers this one! I got it for £3.99 from Aldi after her recommendation because I need something to care for my dead bleached ends (hello ombre hair... shall I do a post on it?) 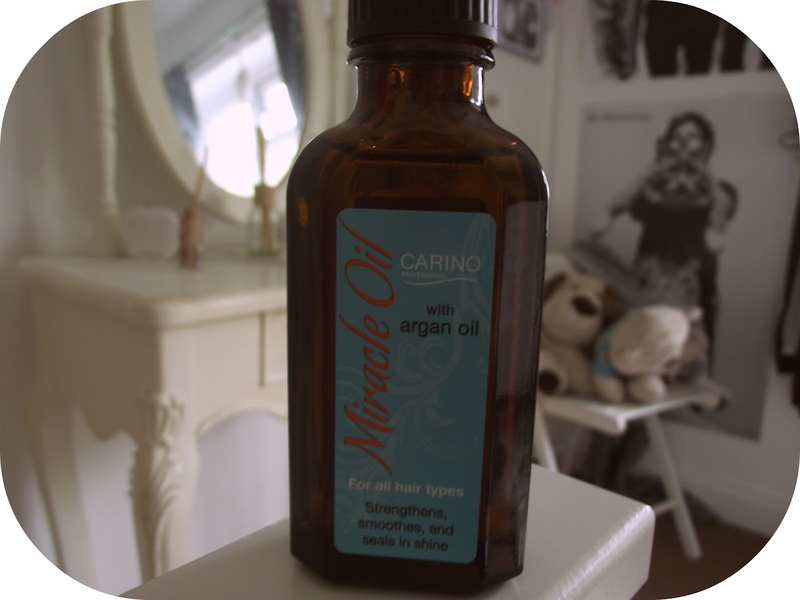 and it works a treat; I honestly don't think my hairs ever felt this soft! I get around about a 10p sized amount and spread it in the palm of my hands, then just run this through the lengths of my hair when it's about 60% dry. I thought that I should use less than that because my hair is very thin, fine and gets weighed down by products easily but this is absolutely fine! Last but certainly not least is this gorgeous candle lantern. Just how adorable is this!? It looks like something you'd put tinkerbell in! And the best part is, I made it myself from an old jar of honey! I'm dying to make another but I've been trying for days now to get the strawberry jam label off another jar... when I do, I'll do a how-to! This looks super duper cute with a tea light in (the one in at the moment in lavender scented...mmmm) and I can't wait to use this at Christmas time. PS. I'm using a different camera... can you tell the difference? Let me know if you can! Great favourites, I think I will be giving the oil a try! Hi dear, thanks for visit and for your lovely comment! My name is Francesca, I'm from Italy and I love your september favourites, expecially the candles. This is the link on my blog, I hope you enjoy!! I follow you back dear. You have a wonderful blog! nice! I'm your follower. subscribe to my blog. thanks so much for comment on my blog! i love yours!! I invite you to articipate in the worldwide giveaway i'm doing! It's great! the dress you want could be yours! you choose! Summer here is definitely over but I'm looking forward to cosy clothes for winter! Blimey, the bottle looks just like Morrocan oil!! Would be interested to see a review on it. Personally I think Morrocan Oil is overrated. My hair is bleached and got dye on top, and the thing that worked a treat on my poor locks was Macadaima Oil, cheaper than Moroccon Oil and can be purchased off eBay for £15. WIN! 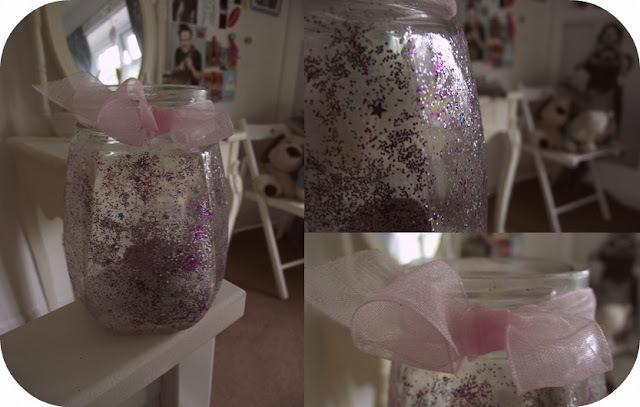 oo yes do a how-to on this it looks so cute :) good way of recycling jars! please come and visit me at my blog and follow back? I love your blog, great posts and fantastic name. I will after read your blog properly when i have the time :) Thanks for dropping by mine.